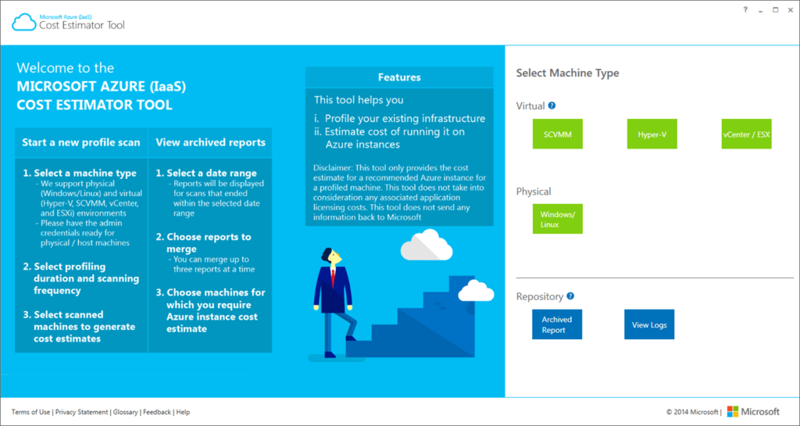 One question that I get rather frequently: “How much would running my machines on top of Microsoft Azure really cost me?” (or something similar). Well, you probably know that the first answer that comes to mind is “It depends.” (probably can be used on any occasion in IT, what do you think? ). I hope that the next step is “Well, let’s take a look what do have, what do you really use, what can be migrated, let’s profile the usage, and then we will calculate it (using Excel, of course), and…”. 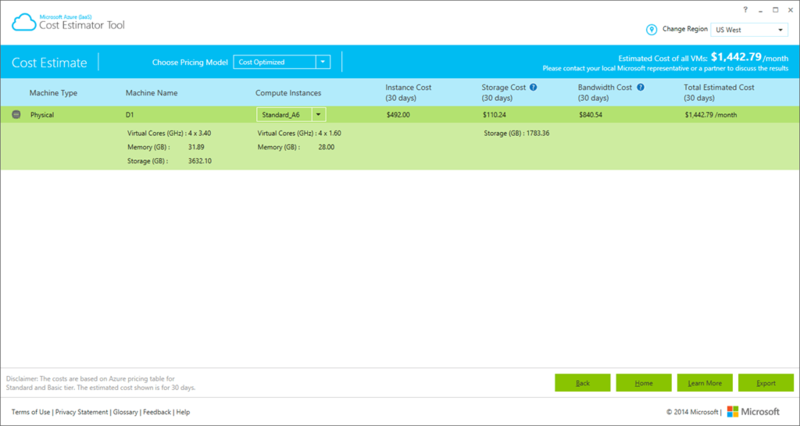 Good news is that now you have the tool for this scenario, called Microsoft Azure (IaaS) Cost Estimator Tool! The tool itself looks very nice, and it’s easy to use (do I need to mention that this tool is also free? ), so I really can’t think of a reason not to use it (or just give it a try). It also downloads the updated XML that verifies that the latest version is installed and that the latest pricing is used. You can download this great tool here (it’s about 3,5 MB in size), with walkthrough here.